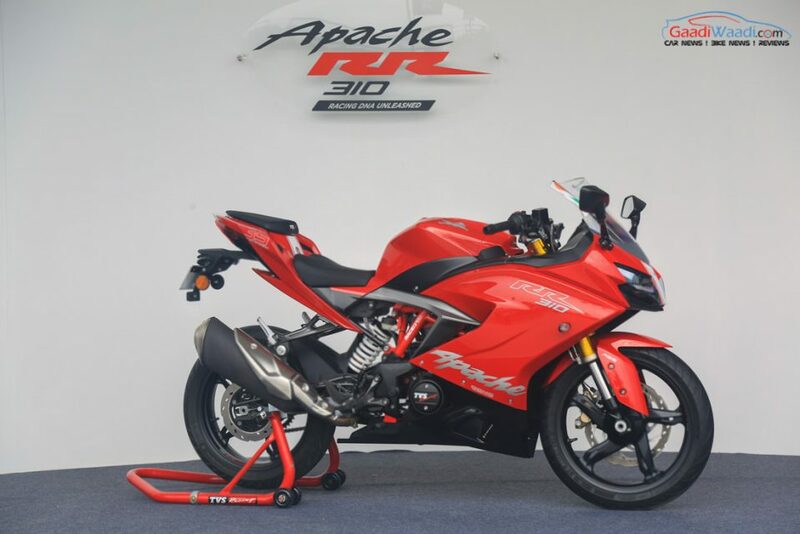 TVS sold 185 units of Apache RR310 in December 2018 and registered 180 per cent Year-On-Year growth as the performance bike completed one year in the market. When compared to November 2018, the sales of Apache RR310 have increased by 55 units but sales are not consistent as it goes up and down each month. The company was planning to sell around 10,000 units of Apache RR 310 in the first year but they had fallen way short as the company has managed to sell just 5,297 units. The Apache RR310 has also managed to beat the 390 Duke last month as KTM sold just 106 units. The 650 Twins is currently leading the price segment as the company sold 629 units in December 2018. TVS has increased the price of Apache RR310 consistently over the last year as the model currently retails at Rs. 2.23 lakh compared to the introductory price of Rs. 2.05 lakh. The Apache RR310 has a waiting period of two weeks depending on the colour option as TVS also manufacturers the BMW G310R and G310 GS for the global market from its Hosur plant. The Apache RR310 is powered by the same 312 cc single cylinder liquid cooled engine, which is based on the BMW G310R and it produces 34 PS of maximum power at 9,700 rpm and 27.3 Nm of torque at 7,700 rpm. This engine is mated to a 6-speed gearbox. The RR310 engine gets a higher compression ratio along with new a custom ECO compared to G310R. 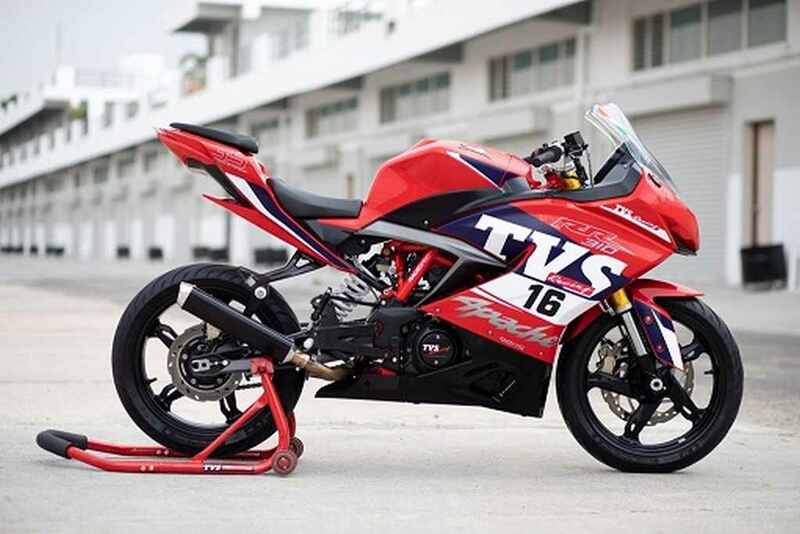 TVS Apache RR310 offers excellent performance as 0-60 kph sprint takes just 2.73 sec and top speed is 160 kph. The braking power comes from 300 mm disc at the front and 240 mm disc at the rear with dual-channel ABS system as standard. TVS has given upside down forks at the front and a mono-shock suspension at the rear. The bike tips the scale at 169.5 kgs and the fuel tank capacity is 11 litre, we can expect 28-30 kmpl of mileage. The Apache RR310 gets 17-inch alloy wheels with 110/70 section tyre at the front and 150/60 section tyre at the rear. The performance bike rides on Michelin Pilot Street tyres, which offers good grip in dry and wet conditions.